The Mercedes PRESAFE® feature is an advanced safety system designed to protect occupants in the event an accident is about to occur. Found on new Mercedes-Benz models, PRESAFE® takes precautionary measures to ensure the safety of you and your passengers. Find out more about this high tech safety system at Mercedes-Benz of Plano near Frisco. What Does the PRESAFE® Mercedes-Benz System Do? The front head restraints will adjust and move to the best possible position to prevent passenger injuries. If a rollover is possible, the windows and sunroof close to help prevent dangerous debris from entering the cabin. The tension in the front safety belts increases to protect occupants from injury. In addition, select Mercedes-Benz models offer PRESAFE® Sound, which emits a tone that causes a reaction in the inner ear which protects your hearing from loud noises. The PRESAFE® and PRESAFE® Sound safety systems work alongside other Mercedes-Benz features to give you more peace of mind while you are behind the wheel in Carrollton and beyond. Which Mercedes-Benz Models Include PRESAFE®? To find a Mercedes-Benz configuration that includes PRESAFE®, get in touch with Mercedes-Benz of Plano today. What Does “PRESAFE® Functions Limited” Mean? If your vehicle displays “Pre Safe Functions Limited,” Mercedes-Benz service may be needed. This message can usually be seen on the vehicle’s information panel located just behind the steering wheel. Most often this message means a sensor needs adjustment or cleaning. Either way, schedule service with Mercedes-Benz of Plano and have a certified technician take a look. Mercedes-Benz continues to make strides in safety and driver assist technologies. At Mercedes-Benz of Plano we’re happy to showcase other Mercedes-Benz safety systems, from ATTENTION ASSIST® to DISTRONIC PLUS®. 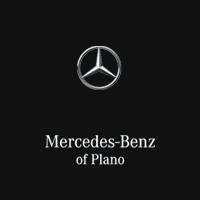 Contact Mercedes-Benz of Plano with any questions, or plan a trip to our showroom near Carrollton.